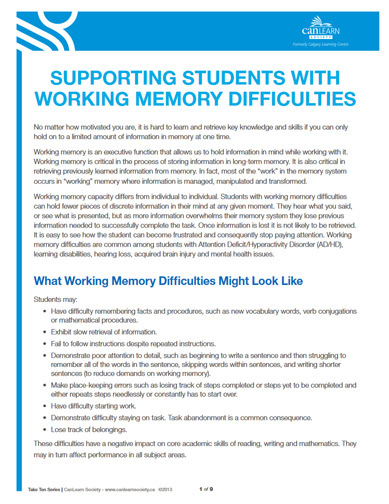 Working memory is an executive function that allows us to hold information in mind while working with it. Working memory is critical in the process of storing information in long-term memory. It is also critical in retreiving previously learned information from memory. In fact, most of the “work” in the memory system occurs in “working” memory where information is managed, manipulated and transformed.